There are many independent spirit specialists out their, but when it comes to fine spirits, the more exquisite brands, Distillnation can make the top spot. With brands including Ron Botran, De Luze Cognac and Artemisia Absinthe it covers categories that others shy away from and happily opens them out to the consumer eye. Distillnation itself was founded by Francis Weier. A man with over 16 years of working in wines and spirits and one hell of a passion to boot, he founded Distillnation to expand the opportunities of premium spirits in the UK market. Bringing in team members including Maya who has under her belt many years both in business marketing and project management, has given Distillnation the edge with its creative and inspiring point of view of the premium spirits industry. La Clandestine is a 100% natural, hand-crafted absinthe distilled using a 1935 recipe. 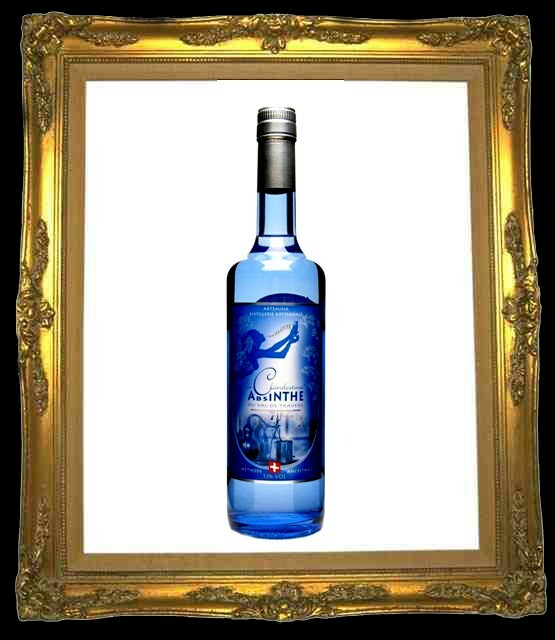 Known as the classic Swiss bleue, it prides itself on its regionality and terroir that is unique to absinthe from the Val-de-Travers district. Officially launched to mark the Swiss legalisation of absinthe on 1st March 2005, it has won many an award including first prize and title of ‘Absinthe d’or’ at the National Competition for Swiss Spirits. Strong on the nose with aromas of liquorice and herbs dominating. A rather sweet start on the palate though with a heavy dose of liquorice and a kick of spice near the end. It does mellow soon after. Artemisia Absinthe Butterfly Boston 1902 is, as you can probably work out, an absinthe that was first distilled in Boston back in 1902 but re-produced in Couvet, Switzerland in 2010. Using the original recipe from the American group P. Dempsey and Company, a collaboration between the owner of America’s number one absinthe accessories store Absinthe Devil and Artemisia – the owner of La Clandestine (above) and Angélique absinthes, a Boston resident and owner of Absinthe Devil delve into the history of the Dempsey family and unearthed the recipe and sought to bring it back to the market. Clean on the nose but packs a powerful punch of herbs and wormwood. Very bold and with an instant warming on the palate with again lots of herbal flavours. Rather short overall but does create a long tingle on the tip of the tongue. Launched in 2007 and named after the daughter of creator Claude-Alain Bugnon, a rather subtle aroma of liquorice on the nose with herbs and angelique following. Rather light on the palate, with a water-like texture. Lots of aniseed flavours develop with a long, hot spice to the finish. Ron Botran hails from the plantations in Retalhuleu in the south of Guatemala. The quality of the volcanic and clay soils that are permanently bathed by the sun are the perfect origins to grow sugar cane that is needed for the production of rum. Ron Botran is rather unique compared to other rums in that the rum industry in Guatemala was created specifically to produce distilled spirits and have been made out of virgin honey or brown sugar ever since. To achieve the distinctive character of each one of its rums, they distill its rums individually differently for each product. Botran rums are distilled in stills with copper components that improve the quality of the rum and are then aged through the Solera System. Botran reaches adulthood in Quetzaltenango, the city where their aging facilities are located. Among the many aging secrets that make their rums unique is the charring of some the barrels used in the Solera System. Clean, soft nose of vanilla, whilst the palate enjoyed an incredibly smooth offering of dried fruits, hints of wood and vanilla. A slight spice developed near the end of the tongue but it created a fresh, short finish. A blend of rums between 5 and 18 years, creates a rather bold and rich essence of vanilla on the nose which carries over onto the palate, becoming sweeter. It mellows soon after and although a short offering, is rather smooth. A bend of rums between 5 and 14 years, clean and fresh on the nose with a slight aroma of vanilla. A kick of cinnamon to begin on the palate, but mellows quickly with flavours of caramel and fudge. The De Luze cognac house has a uniquely interesting history, with the origins of the company in New York. Two brothers set off to find success in the New World in the early 19th century and centuries later, De Luze is still a successful business with 410 hectares of vineyards in the prime growing area of Cognac. Their philosophy is to create a natural cognac with an elegant and light taste and colour. Hit of spiced fruit creates a strong, rich aroma on the nose but becomes smooth on the palate with slight hints of spice and fruit. Develops a long warmth with a mouth-watering finish. Sharp on the nose with malt aromas coming through. A developed palate of grain and spice from the beginning, smooth but with a kick at the end of fresh juniper. Lingers. Slight notes of sweet juniper on the nose, with a clean, light palate of malt and grain blending well. A little heat and spice on the dry, lingering finish. Very clean and light on the nose, with a very subtle hint of grain. Light on the palate too, with a little sweetness and soft texture. Short, but effective. Rich, fresh nose of lavender, lemon and coriander on the nose, with the citrus dicing through on the palate too. Sharp hits of cinnamon and star anise come through, with a mellow turn of the lemons and a rush of lavender finishing. Long. Although not widely available in the North, London is your best venture to experience the Distillnation brands in bars such as Zetter Townhouse and Callooh Callay, but you can purchase them all online.